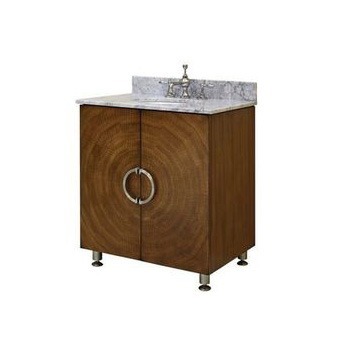 Explore the many vanity options offered at our San Francisco showroom and our other showrooms throughout the Bay Area. 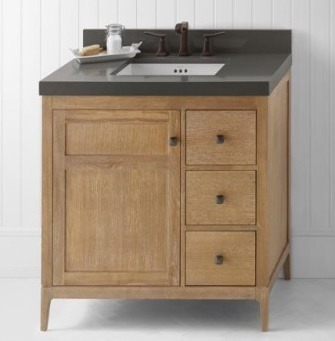 Choose from an array of pre-made vanity options for a simple remove and replace project, or sit down with one of our designers to create a custom vanity for your full-scale bathroom remodel. 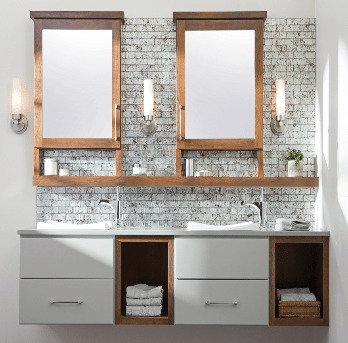 Gilmans Kitchens and Baths offer a wide selection of Semi-Custom Bathroom Vanity options, as well as pre-fabricated or pre-made vanities for your bathroom remodel. 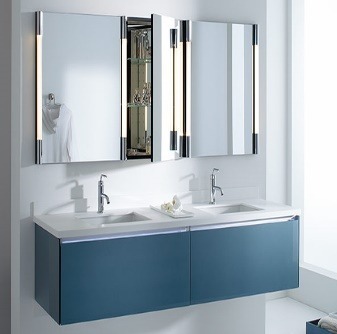 Our Semi-Custom vanities are available in a number of wood species and materials, such as Cherry to Walnut, and Exotic Wood Veneers to Wired and Glossy Foils. 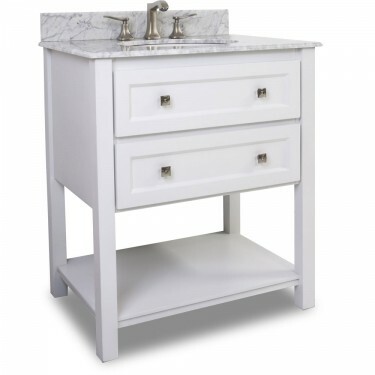 Our Semi-Custom vanities can come in smaller or larger sizes and the option to come painted, stained or glazed. 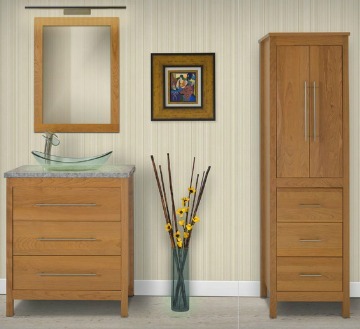 Semi-Custom vanities also come with matching frame mirrors and linen cabinets as additional options. 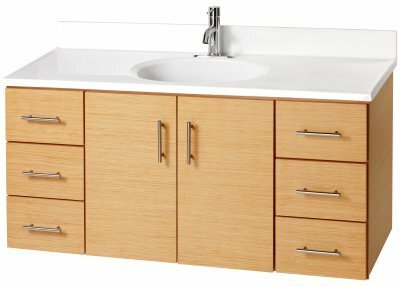 Our Pre-fabricated vanity options include stone, engineered quartz or cultured onyx vanity tops and sinks that are available as a set. Matching mirrors and medicine cabinets are also available. 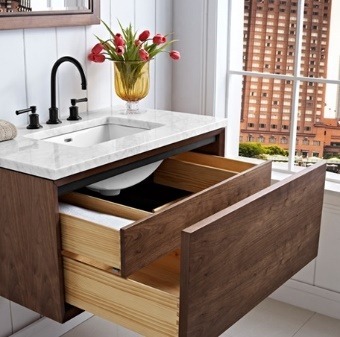 Schedule an appointment with one of our Designers to learn more about our vanities! 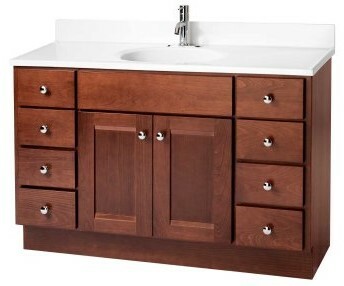 Dura Supreme offers Semi-Custom Bathroom Vanities that can come in any size. Choose from many different wood species, stains, paints and door styles. 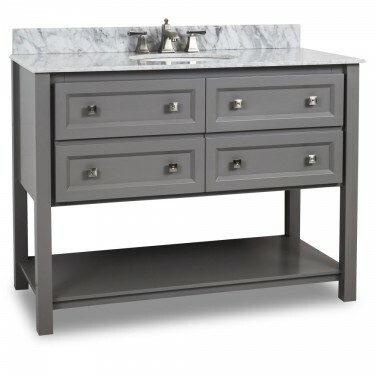 Ask our Designers about our other Semi-Custom Vanity lines! 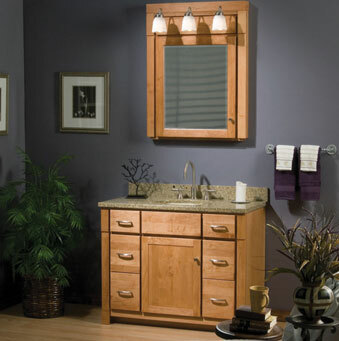 Fairmont Vanities offers pre-made vanities that range in size from 18” Wide to 72” Wide. 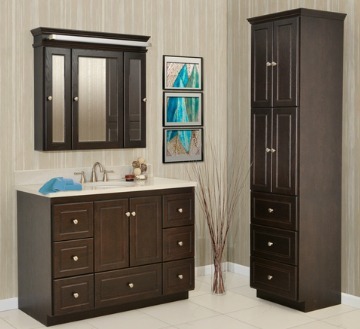 Matching mirrors and vanity tops are also available. 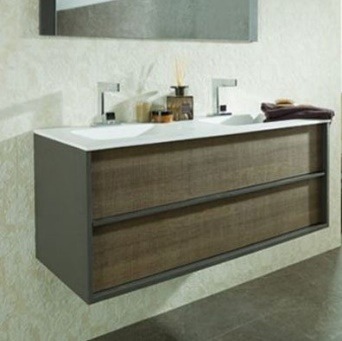 Robern offers contemporary free standing and wall hung vanities in wood veneers, mirrored and high gloss finishes. 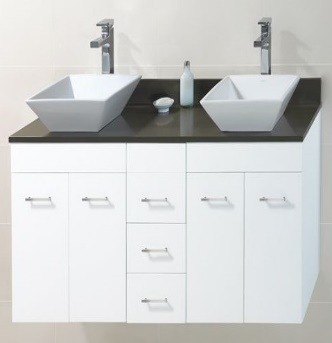 Robern vanities range in size from 21” Wide to 60” Wide. 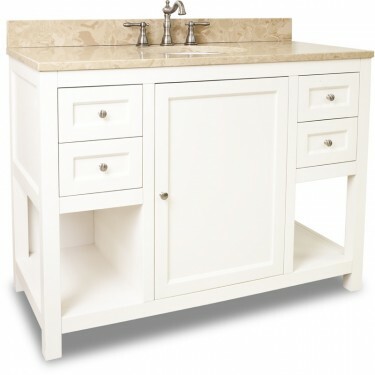 Matching vanity tops and mirrors are also available. 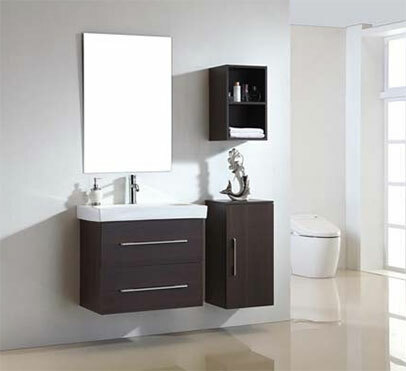 Ronbow vanities offer a range of traditional to contemporary vanities that range in size from 24″ Wide to 72″ Wide. 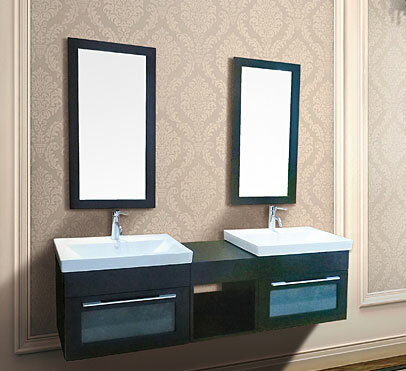 Matching mirrors, stone and engineered quartz vanity tops are also available. 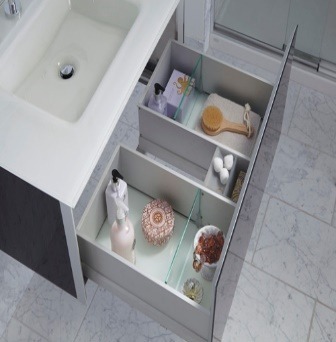 Dawn vanities range in size from 24” Wide to 60” Wide. 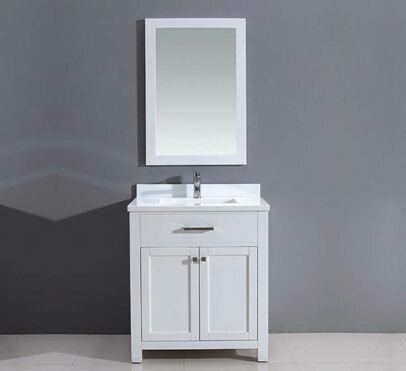 Matching mirrors and vanity tops are also available. 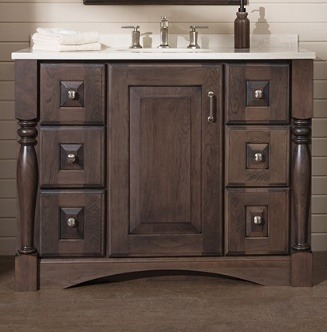 Woodpro cabinetry offers a variety of door styles and finishes for their bathroom vanities. 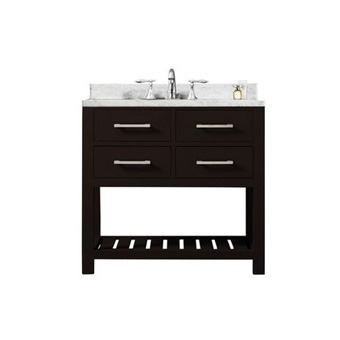 Woodpro vanities range in size from 18” wide up to 96” wide. 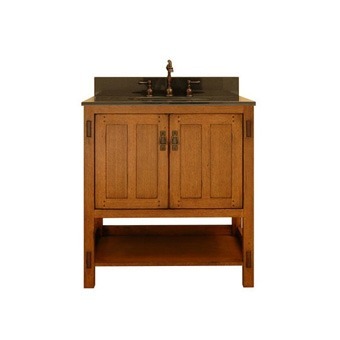 Matching vanity tops, linen cabinets and mirrors are also available. 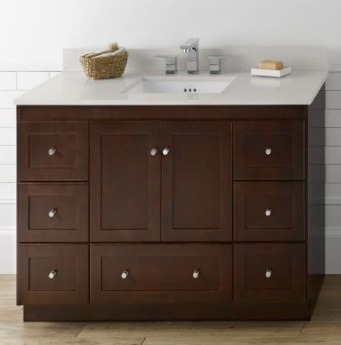 Jeffrey Alexander offers traditional and transitional vanity options that range in size from 23 1/4″ – 72″ Wide. 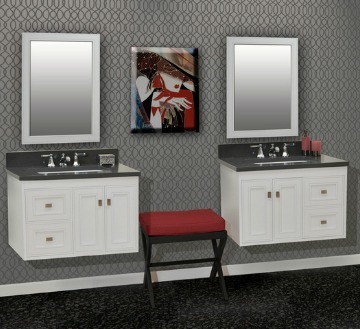 Matching vanity tops and mirrors are also available. 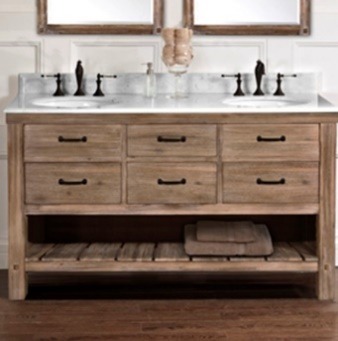 Sagehill Designs offer traditional, transitional and contemporary vanity options. 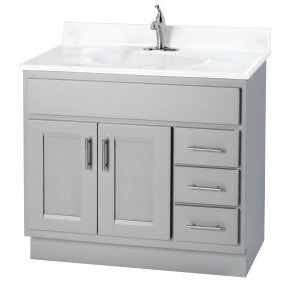 Matching vanity tops and mirrors are also available. 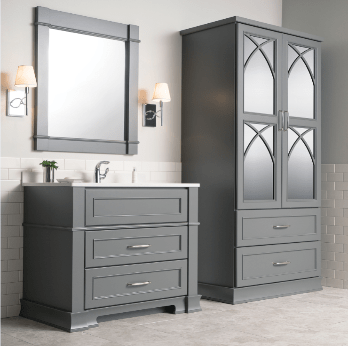 Jenson offers several door style, stain, and paint options. 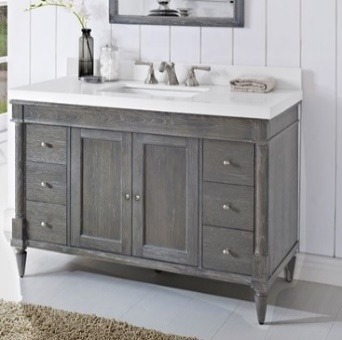 Vanities can come with a traditional toe-kick or legs. 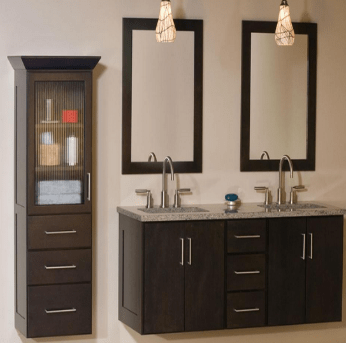 Matching vanity tops, over-the-john cabinets and mirrors are also available. 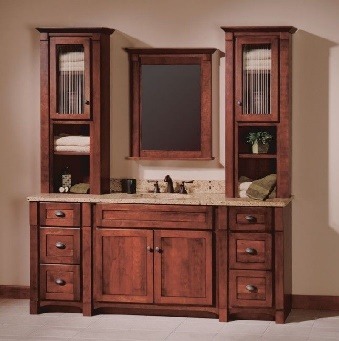 For over 30 years, the designers and woodworkers at Strasser have built high quality bathroom cabinets from American hardwoods, including cherry, maple, red oak, and alder. Visit us in San Francisco, San Mateo, San Rafael, or Mountain View to speak with one of our designers about your bathroom remodel!